Advanced outdoor lighting systems that zone, dim and change color. With the ZDC, custom LED lighting colors can be created for outdoor holiday displays, team spirit themes, company colors, or special events. This really is the ultimate in outdoor lighting and the coolest landscape lighting product on the market! 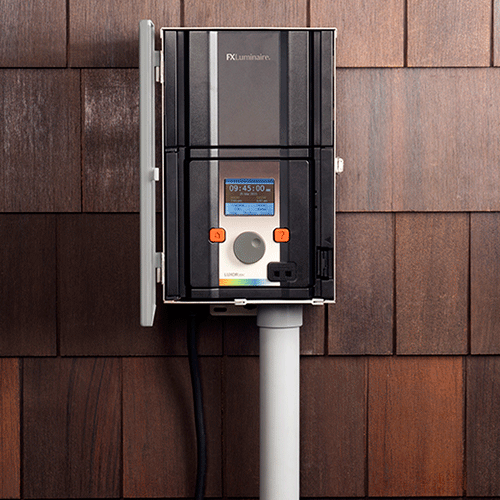 Recent innovations in low voltage lighting control technology have given way to a variety of new and excited options. 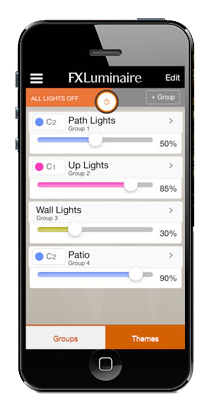 With the touch of your smartphone, you can control a properties home and landscape lighting system with dramatic results! Ready to schedule a consult with a lighting designer?